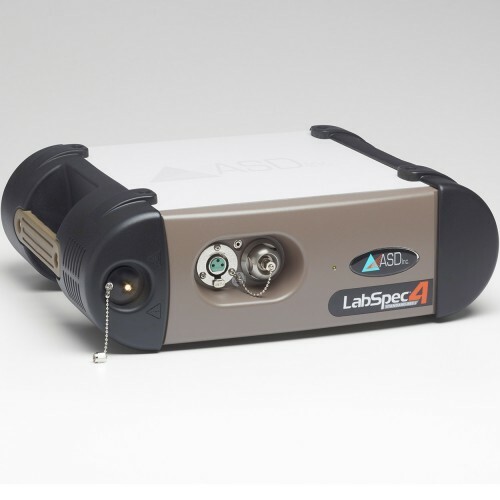 Ideal for characterizing spectral features with a resolution of 10 nm to 50 nm. 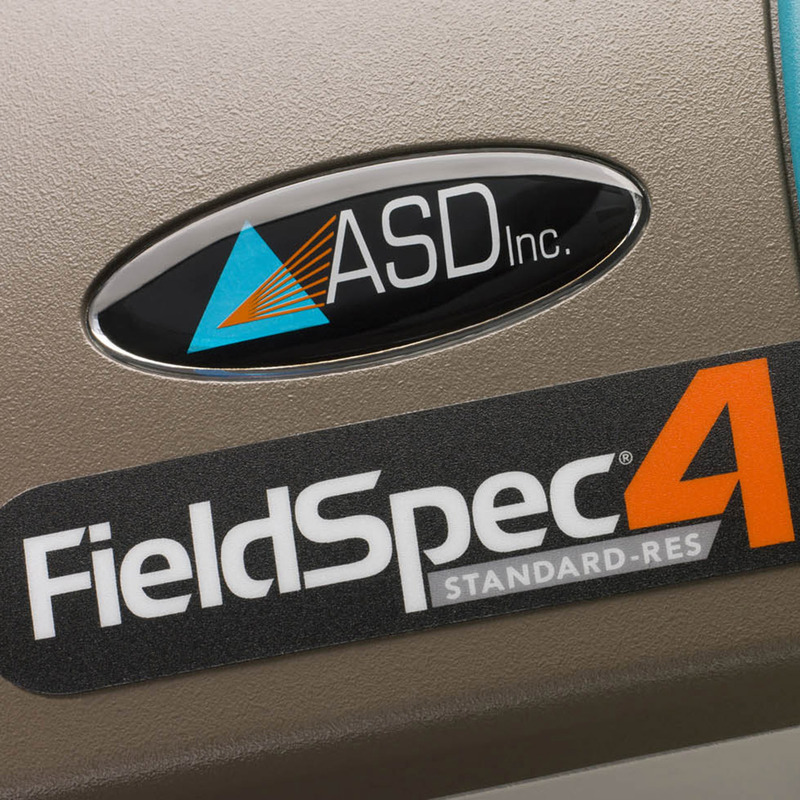 The FieldSpec 4 Standard-Res is well positioned to meet a majority of the technical needs of field researchers who require dependable and trusted results from a field portable spectroradiometer. 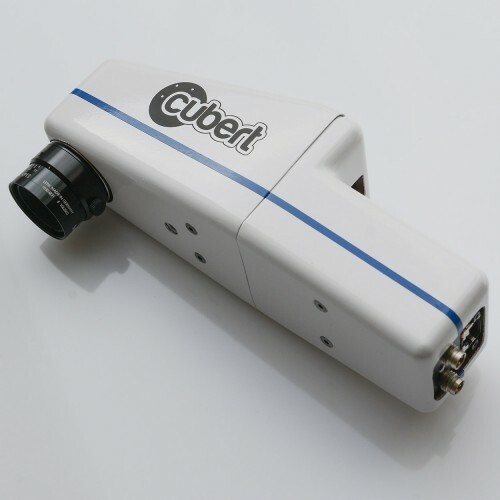 It is the right choice for a wide range of remote sensing applications, including multispectral sensor ground truthing and calibration, agricultural analysis, and snow and ice studies. In addition to being a world class spectroradiometer, the FieldSpec 4 Standard-Res is equally suited to serve as a rugged, portable spectrometer for accurate contact reflectance or non-solar stand-off measurements. Detectors VNIR detector (350-1000 nm): 512 element silicon array. SWIR 1detector (1001-1800 nm): Graded Index InGaAs Photodiode, Two Stage TE Cooled. Calibrations Wavelength, absolute reflectance, radiance*, irradiance*. 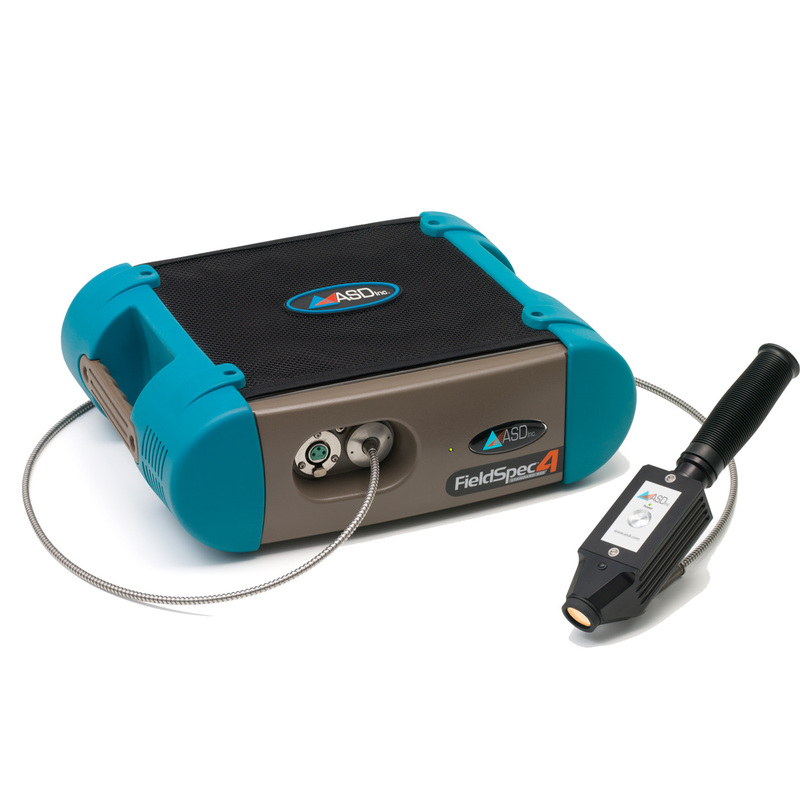 Designed for contact measurements of solid raw materials such as minerals, grains, other granular materials. Its innovative optical design minimizes measurement errors associated with stray light and allows for measurement of samples through clear and transparent plastic bags. The same design, features, and benefits of ASD’s standard contact probe, but with a higher intensity illumination setting on the sample window. 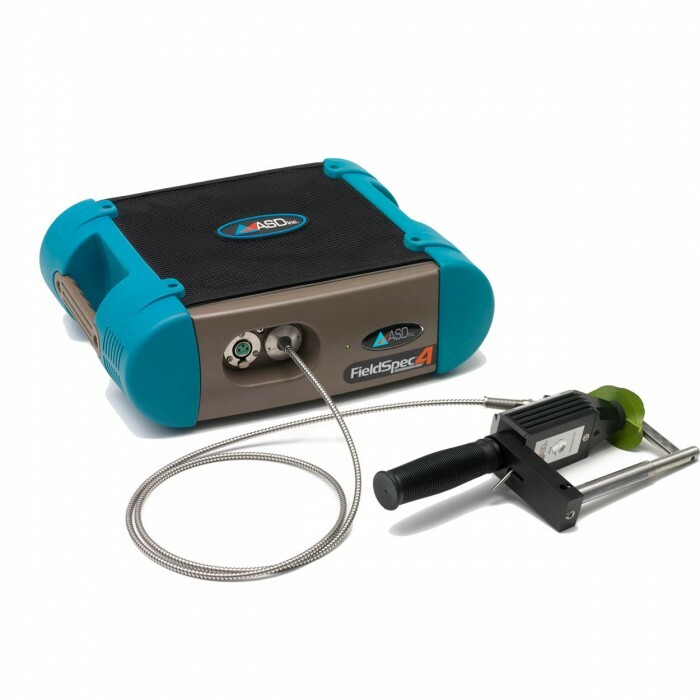 This higher intensity illumination is ideal for inorganic applications, and is recommended for mineral and ore characterization in mining exploration and research applications using the TerraSpec®, FieldSpec® 4 Hi-Res and LabSpec® Hi-Res spectrometers. The ASD Muglight is designed for analysis of raw materials requiring reflectance and absorbance measurements. 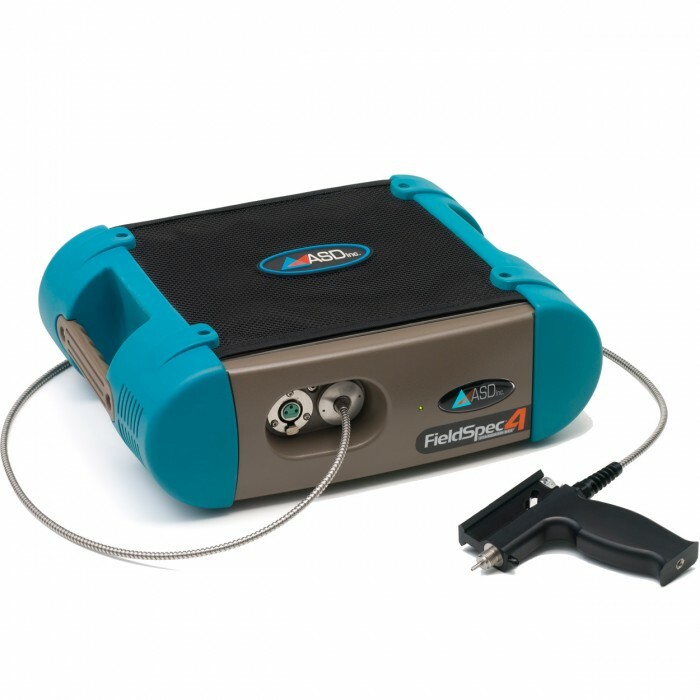 It can measure samples through glass vials, or using the ASD sampling tray adapter. It’s unique and innovative design minimizes measurement errors associated with stray light and specular reflected components. The same design, features, and benefits of ASD’s standard Muglight, but with a higher intensity illumination setting on the sample window. This higher intensity illumination is ideal for inorganic applications, and is recommended for use with the TerraSpec®, FieldSpec® 4 Hi-Res, and LabSpec® 4 Hi-Res spectrometer models. The Hi-Brite Muglight is designed for analysis of raw materials requiring reflectance and absorbance measurements. 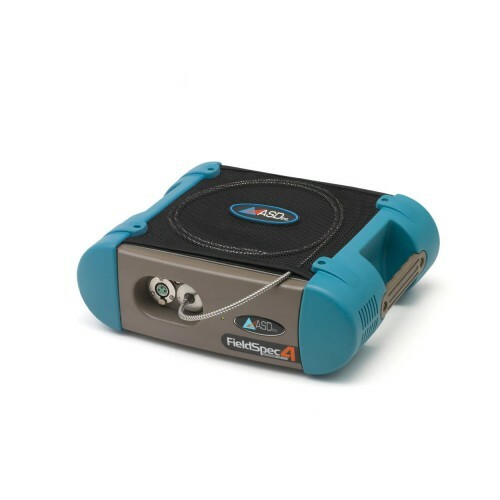 It can measure samples through glass vials, or using the ASD sampling tray adapter. 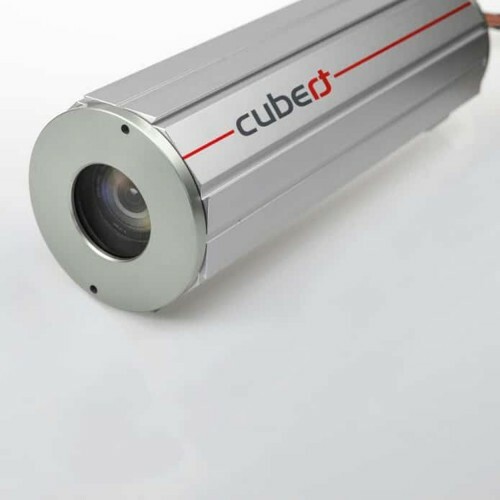 It’s unique and innovative design minimizes measurement errors associated with stray light and specular reflected components. Compact (8″x11″x11″ or 20.32 cm x 27.94 cm x 27.94 cm) footprint. The same great design and functionality as ASD’s standard contact probe with a lower intensity bulb position for non-destructive data collection from live vegetation and other heat sensitive targets. 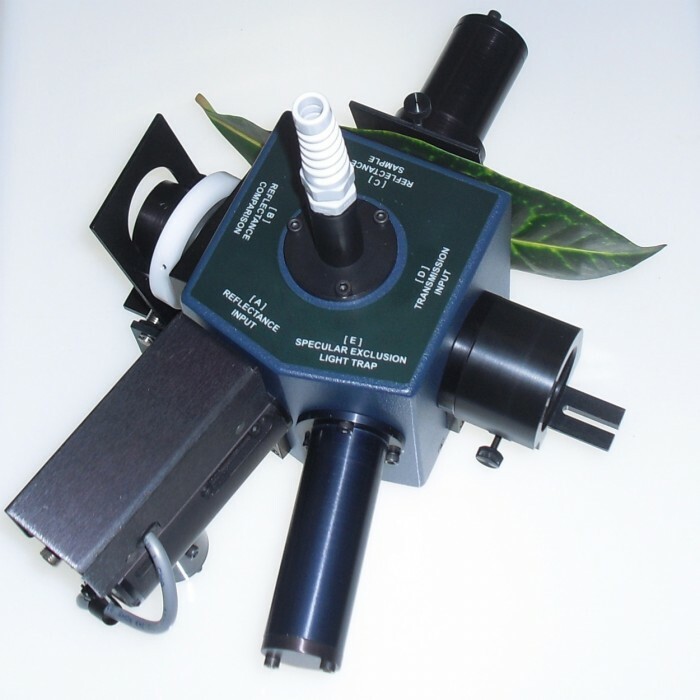 ASD’s Leaf Clip assembly is designed specifically for use with the Plant Probe to simplify the process of collecting spectra on live vegetation. The unique design includes a gentle trigger lock/release gripping system for holding the target sample in place without removing the leaf from its habitat, or inflicting damage.